When I last blogged, the floor looked like this... basically mulch with some insulation mixed in. 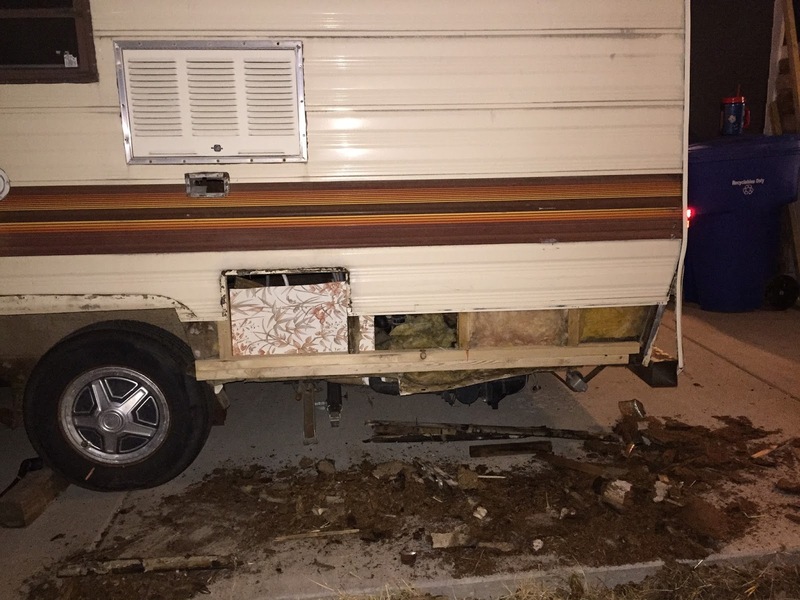 Here is a photo of what the trailer looked like from the outside. First thing we did was jack the wall up high enough in order to screw a new 2x2 into the wall studs. Next,using heavy duty deck screws, Matt screwed a 2x4 to the 2x2. 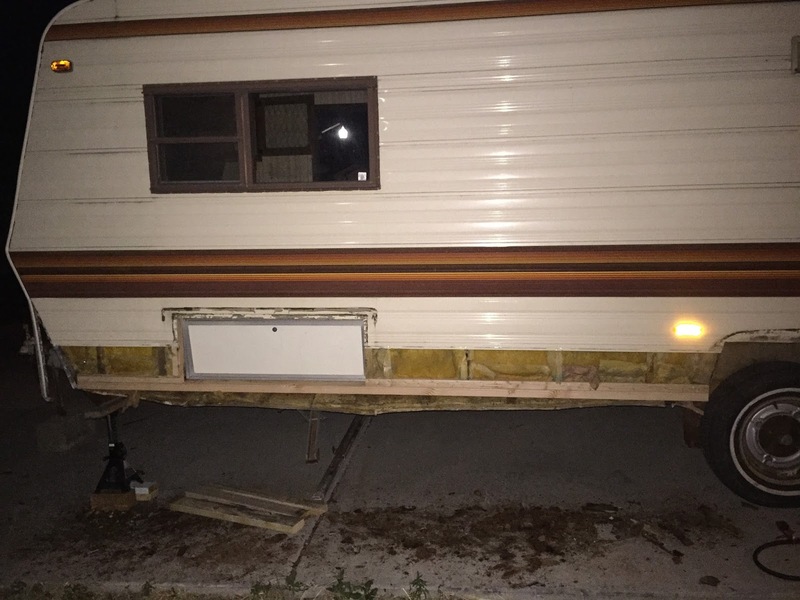 Before, the floor of the trailer came under the wall with 2x2s sandwiching it. This makes it next to impossible to replace the floor without ripping into the sides of the trailer again. By using a 2x4, we can now screw the floor onto the 2x4. Matt used this method on all sides of the trailer. In this shot you can see how it looks with the floor screwed to the 2x4 from the inside of the trailer. Also in this shot, you will notice the heavy duty plastic we used to create a vapor barrier. 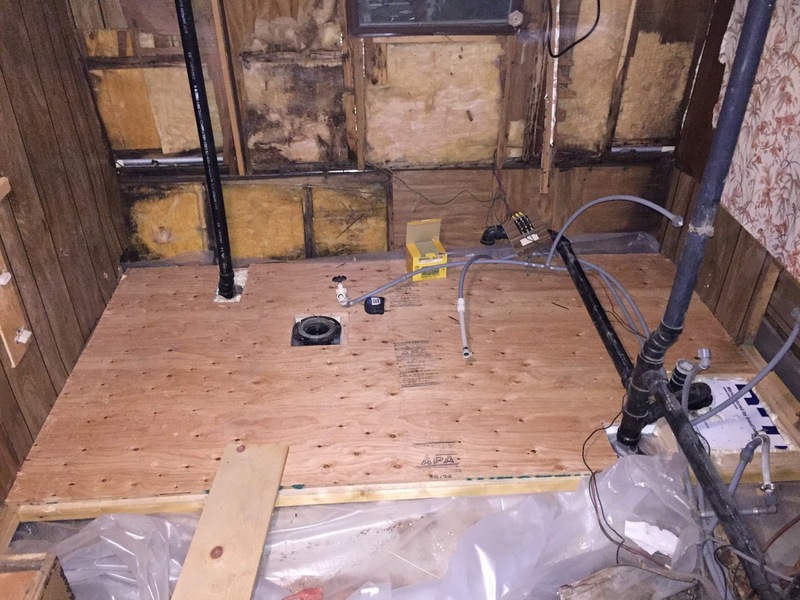 We used 2x4s for the base of the floor. 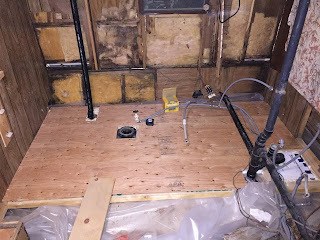 Before, the floor was out of 2x2s. 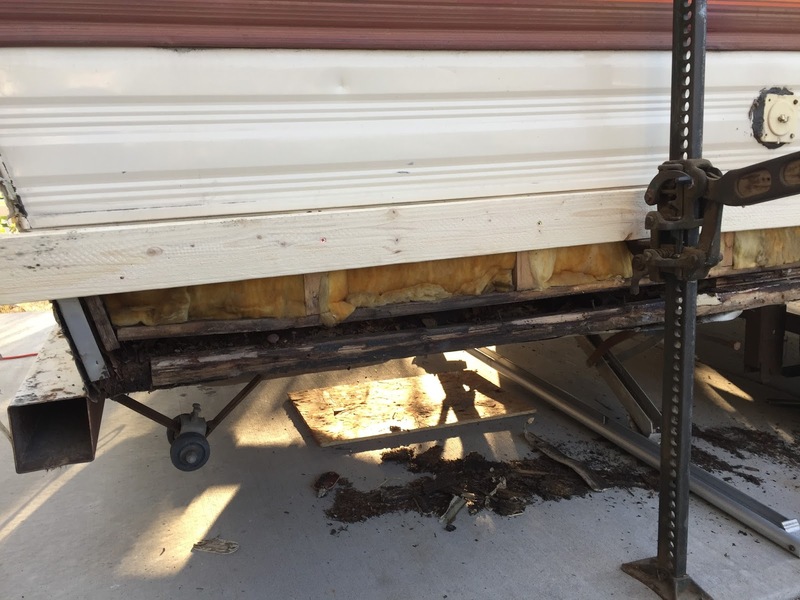 In order to attach the 2x4's to the trailer walls, Matt drilled two holes through the bottom wall supports into the floor 2x4's and screwed heavy duty deck screws into each floor joist. 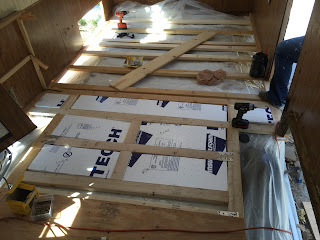 We used foam board to insulate the floors. We used spray foam to fill in the gaps. 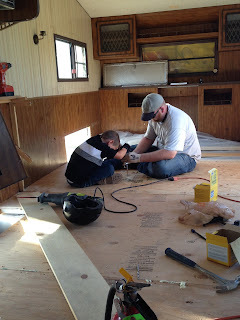 The floors are 3/4" 4'x8'plywood sheets. For some reason, I don't have a completed floor shot, so here's one with the floor almost done ;0). 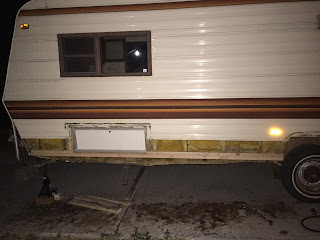 In the next post, I'll show you how we finished up with sides of the trailer.